Karthik is a product inventor and restaurant entrepreneur with experience in building and managing two restaurants.As a restaurant owner, he has experienced the problem firsthand. Priyam handles a wide variety of data engine responsibilities at Pepr. 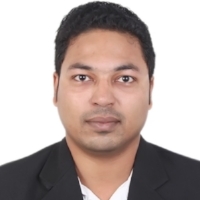 He has 10 years experience in backend technologies. Pavani is an MBA with international experience in strategy and marketing. Her strengths include developing new business models, sales strategy and pricing. Anirudh has worked at Mcafee, Zynga, and other gaming startups prior to joining Pepr. He brings in extensive UI and design experience.